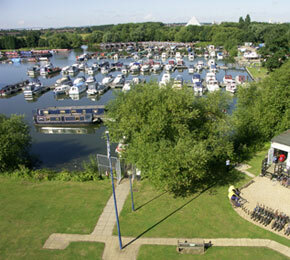 The marina is set in a series of delightful lakes by grassy banks and established woodland. At first glance, it is hard to imagine that this tranquil setting offers such a convenient location, yet it has access to the main channel of the Lower Thames and the heart of London is only 30 minutes away by road. 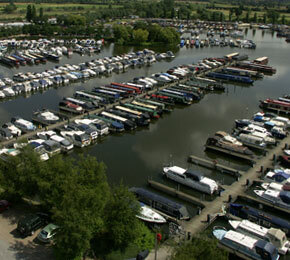 Shepperton Marina is truly the best of both worlds for the discerning boat owner. We offer all the amenities you would expect of a well-appointed marina, including secure, serviced berths, petrol and diesel fuel, full boat yard facilities and a large chandlery. The marina you see today started life as a gravel pit and was purchased in 1978 for the purpose of building a marina. Basin A was the first phase of the construction, followed by the building of Basin B. Over the years a number of changes have taken place around the marina to make it what it is today. We currently have 250 berths catering for a broad range of boats and the iindividual requirement – powered, non-powered, disabled access and visitors’ berths.We have lovely grounds for you to stroll around and enjoy – or you just might like to relax on your boat and enjoy the tranquil way of life and the wonderful wildlife that is so greatly enjoyed here at Shepperton. The future is also looking very bright. It has been a long-held ambition for Shepperton Marina to expand and provide a wider range of berths and facilities to the mooring community on the lower reaches of the River Thames. 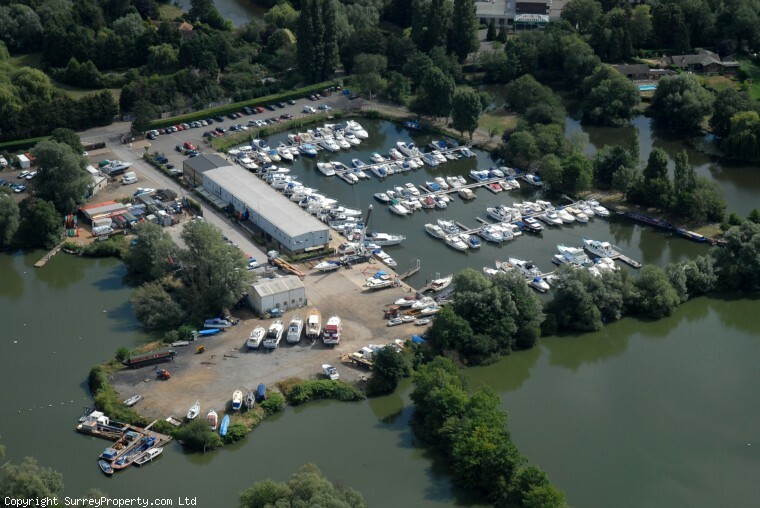 That dream is about to become reality with Shepperton Marina being granted planning permission to increase the size of the marina from 250 to 455. The 205 new berths will be situated in the West Lake which is part of the Shepperton Marina complex. The new moorings will cater for a wide range of vessels from Dutch barges to cruisers, day boats to narrow boats. It is hoped that the first boats to moor in the new C basin will be in by Christmas 2010. Redhill Marina offers you a friendly and thoroughly professional boating service at the heart of the East Midlands waterway network that ranges from riverside and marina mooring to chandlery, marine storage, boat hire and boat sales. Our slipway is available for day and general access to the river and canal network. Cranage is also available up to 100 tonnes – prices on request. We have full haul-out services for anti-fouling and reblacking, with an undercover work area for short-term repairs and refurbishments/painting. But waterway navigation is only part of Redhill Marina’s potential attractions – you may choose to stay in our caravan and camping park, rent a residential mooring, invest in a superb riverside village home or even select one of our building plots to construct your dream lifestyle from scratch. Raynsway marina Leicester is situated in an idyllic location on the River Soar, north of Leicester, between Birstall and Thurmaston locks. Adjoining the marina is the Watermead Country Park which offers pleasant walks, a wild bird sanctuary with observation points and cycle routes. 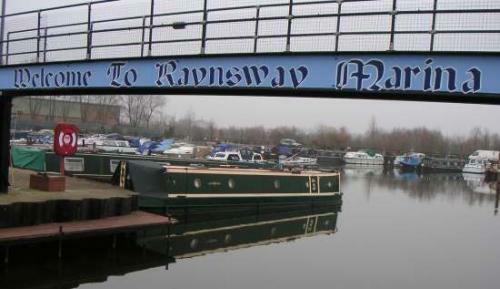 Raynsway Marina Leicester has 160 berths in total both residential and non residential. We offer long and short term mornings. Facilities at the marina include Diesel / pumpout / calor gas / elson / coal / showers / water and laundrette and an over night with hook up. Local amenenties within a mile include a bank, newsagent / general store, restaurants and shops. The city of Leicester is only 3 miles away, easily accessible by bus or taxi. 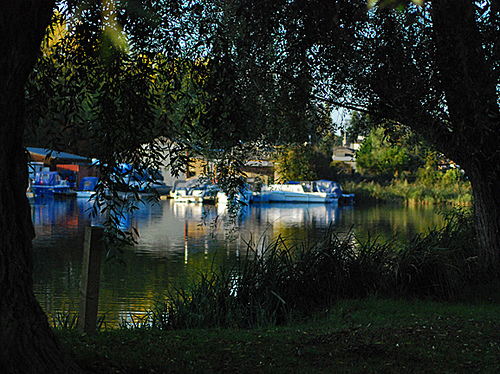 Pyrford Marina lies alongside the River Wey Navigation which stretches over 20 miles through the heart of Surrey. The marina is located in a tranquil and beautiful spot and is within 3 hours cruising of the Thames, which then allows access on to the Kennet & Avon Canal at Reading and the Grand Union Canal at Brentford. There is direct access from the Wey Navigation on to the Basingstoke Canal. Road links to Pyrford Marina are superb, with the M25 and A3 being just five minutes away, hence making travel to London, the South Coast and Heathrow and Gatwick Airport easily accessible. 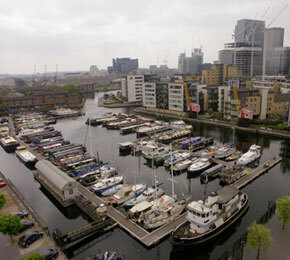 The marina has pontoon and bankside moorings, trailboat hardstanding storage, a dry dock and a slipway. Water berths are suitable for traditional narrowboats up to 70′ in length and a few water berths are allocated for smaller inland narrowbeam cruisers. The Wey Navigation runs south from the Thames through the heart of Surrey’s stockbroker belt. About five miles down the river, just before Pyrford Lock, is Pyrford Basin. Although it is called a basin, suggesting that it may be a relic from the commercial heyday of the waterway, it was in fact excavated about twenty five years ago as a mooring place for pleasure craft. The site has had various owners over the years and is now part of the Walton Marina group who acquired the basin about 10 years ago. Since that time the popularity of narrowboats on our rivers has spread to the Thames and the Wey, which together with the relentless demand for moorings, prompted the expansion of the basin some three years ago. This increased the mooring capacity from approximately 110 boats to 170 and allowed large parts of the water space to be fitted with pontoon moorings designed for longer craft. Now there are only about 25 cruisers moored here and 85 to 90% of the mooring space is occupied by narrowboats. 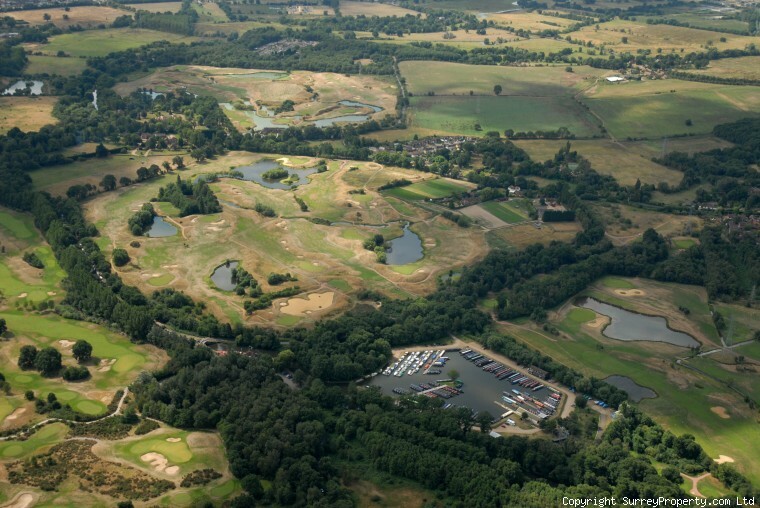 It is rare to find a marina with spaces available and Pyrford is no exception – it closed its waiting list when it reached the three year mark. The Marina Manager is Steve Hughes who has been in post for about three years. Previously his career was in computers, he managed a team of 70 or 80 engineers across the whole of southern England. He has been a boater for about twenty odd years so when looking for a complete change of work he applied for the post of marina manager and is now enjoying the new challenges. Perhaps his greatest challenge is to run the marina with just one other member of staff. On entering the marina by boat the first impression is of water and boats surrounded by trees creating a very pleasant setting. The water space between the boats is wide enough for the visiting boater to get in and out of the basin, and turn, without having to manoeuvre close to moored craft. The service pontoon allows boats to moor on both sides for the usual diesel, gas, water and pump out facilities. Beside the service pontoon the dry dock is available on a daily hire charge and can be used for DIY jobs or for work carried out by the marina. This includes a wide range of tasks from hull blacking to replating a boat. Mark, the on-site engineer, performs a large variety of work including welding, electrical, plumbing and gas and other aspects of boat repair and maintenance. When I visited he had just finished installing a new engine. They will attend local breakdowns but do not provide a full callout service. A basic boat painting service can be provided and this is an area that Steve would like to enhance but finding a skilled boat painter in this area is difficult. On one side of the basin is the building that provides the chandlery, office and home for Steve. Despite running the marina with such a small full time staff and the part-time attendance of the owner they still find time to hold an annual regatta, which took place a few days before my visit. This is mainly a social event for their moorers and includes music and a barbecue. The Pyrford brand of new narrowboats, constructed and fitted-out by Liverpool Boats to a Pyrford specification, are also available here. They avoid getting into bespoke boat building but offer boats that leave buyers with a choice of layouts. Normally 6 to 8 of these boats are sold each year but in 2004 they sold approximately 13. This side of the business impacts on the management of the moorings as they have to reserve some mooring spaces that become available for people buying new boats. Used narrowboats and cruisers are available through their Brokerage service. Only two miles from Bedford town centre, yet surrounded by rich and diverse wildlife, Priory is the natural anchor for life on the River Great Ouse. You can rest assured that with our established reputation for safety, security and reliability, at Priory you will have chosen one of the best in the region. Priory Marina is situated less than two miles from Bedford town centre, in the peaceful Priory Country Park, recently awarded the coveted Green Flag status. 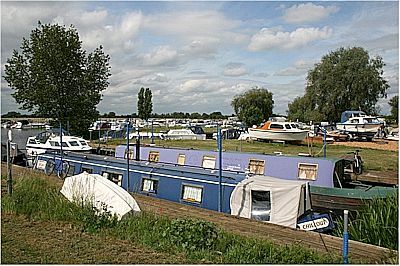 The marina has excellent road links from both the M1 and A1, with mainline rail links to London (only 40 minutes to St. Pancras), the Midlands and the East from Bedford station and nearby Sandy. The marina offers a secure site for 200 non-residential moorings. We can accomodate vessels upto 63ft inllength and a maximium width of 10ft 6ins. The marina has shared finger type and bankside moorings, see below for annual charges. Please contact us for current availability. We also offer short term moorings, which are dependant on availability. You may think that today the River Nene is under used and has few facilities but in the early 1960s the situation was even worse and permanent moorings were difficult to find. In 1964 businessman J T Newington decided to buy some land containing a gravel pit that had been dug out to provide materials for local RAF runways. 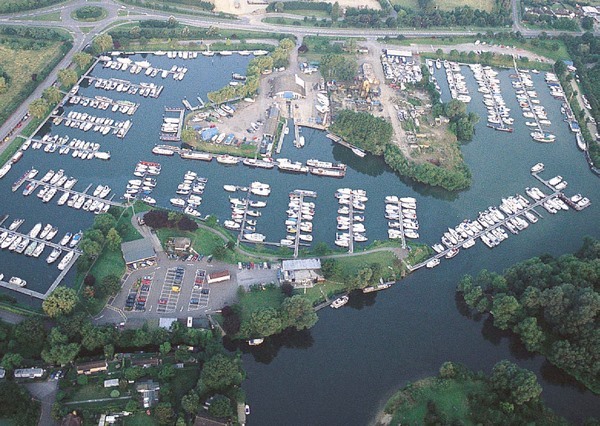 The water filled pit was only separated from the river by 10 or 12 feet of land which was excavated to form a connection and in 1965 Oundle Marina was opened. Although the gravel pit provided a large area of water Jack Newington had built the marina as a mooring for his own boat and for those of some friends. However he was soon being asked for moorings by other boaters and realised the business potential of the marina. By the end of 1968 the number of boats had increased to about 35. Today they have about 190 moorings and the rest of the site that was just a field is now occupied by Fairline Boats. Fairline Boats and Oundle Marina are run as separate companies but both are owned by Fairline. Mark Nye, the Marina Manager, reports to Fairline’s Managing Director. Mark started off by working for a caravan manufacturer but did not feel happy with the standards of their products so he joined Oundle Marina in 1969, when the business was expanding, and worked on the hire fleet together with his father who had joined the company about three months before. Mark’s mother also worked for the company for many years, retiring a few years ago. The fleet of seven hire boats started in 1965 and consisted of new Freeman, Elysian and Seamaster boats, which were booked through Hoseasons. Mark was pleased to be able to switch from caravans to boats and after working on the hire fleet for two or three years he went into the Fairline factory and learnt how to build boats. He left the company briefly and did another job for 12 months before returning in 1980, the year his father died, to take over disposal of the hire fleet. It was found that their boats, in the hands of novices on the river Nene, were getting damaged too often to make it a viable concern. They were not getting insurance cover for most of the damage suffered, for example windscreens broken on low bridges. The Nene lock structures were also taking their toll and the work involved in the hire fleet was an impediment to developing other parts of the marina business such as workshop repairs and moorings. The marina now offers a wide range of services including electrical work, marine engineering, a complete GRP repair service, and weld steel narrowboats but do not tackle replating or major steelwork jobs. There is a covered workshop for repainting GRP craft and narrowboats of 50 foot or less although they haven’t the space to do fitting out. There is a mobile crane and a 25 ton capacity lifting gantry, which is used for the Fairline boats. For smaller craft there is a slipway that can be used for launching trailable boats and which was very busy last summer. Oundle Marina are the only people on the river Nene to have a petrol pump on the waterside, in addition to the usual diesel pump. The chandlery shop is run by Jacqui Craig who has been at the marina for the past four years. It is doing very good business and attracts customers from around a wide area in which there are not many good chandlery shops. There is still a lot of water space available so the moorings can be expanded by adding pontoons. The marina caters for all types of craft but does not have residential moorings. They have plans to put in moorings for 20 or 30 more boats as well as a new shower block and pumpout facilities. There are water points throughout the marina and the new moorings and some of the existing moorings will have electricity on the pontoons. Because they share the site with a boat manufacturer they have some problems in upgrading their electrical supply as this would involve digging up the busy roadways on site. In December each year Mark Nye organises the London Boat Show exhibits for Fairline, taking the boats there and putting the stand together then dismantling it all at the end of the show. This is a job he has done for many years and one that carries through to the end of January and occupies a period that might otherwise be fairly quiet. Just another aspect of his busy life as Marina Manager.